To be honest, I find articles like this frustrating. It’s a no-brainer that biking (and walking and being car-free) is good for health and for weight loss. And yet, in spite of our nation’s much-bemoaned obesity epidemic, so many cities are lagging behind when it comes to improving transit, making cities walkable and creating infrastructure for bikes. How many more articles like this will have to be written before people in power wake up? Hell, maybe it’s a generational thing. After all, many of the people who are in power now grew up in car culture’s golden age. They were fed the notion that the patriotic thing to do was to live in a bedroom community and drive 40 minutes to work every day. They were told a lie that every family needs a car and they swallowed it, hook, line and sinker. Real change will happen when people of our generation — people who prefer walkable cities and bike commuting — start to gain influence. Who wants to help me run for state senate? I have no interest in tossing my hat into any political anything. However, I want to see changes happen. I want to see Jacksonville start ranking on those “best cities for biking lists.” We should be right up there with Portland and Minneapolis. 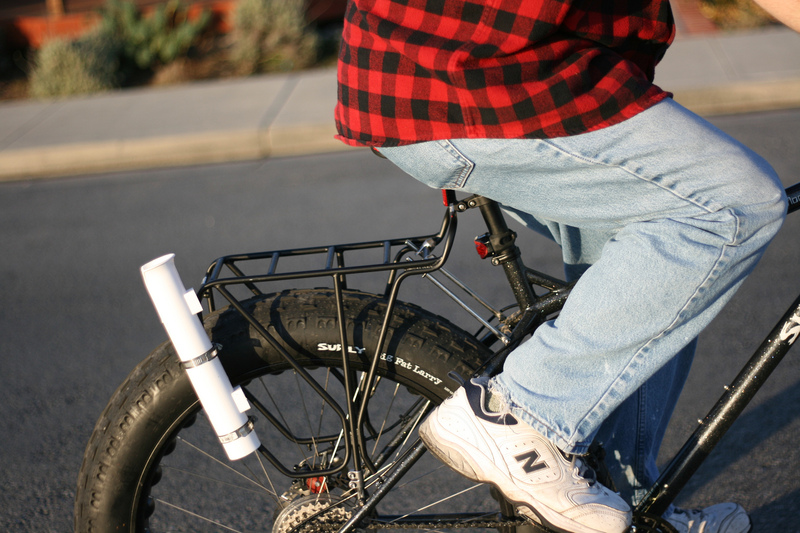 Ok, how about this: Bike every day and keep track of your weight. If we all lose weight from biking, maybe we can impress the powers-that-be with our “before” and “after” pictures. Maybe if biking brings down the cost of health care, we can convince people to put some of that savings into biking and transit infrastructure.